The state of your business email system is one of the key factors that will determine the success of day-to-day operations. Email is crucial in so many departments: internal communication, customer relations and business transaction - not to mention accounts and security. 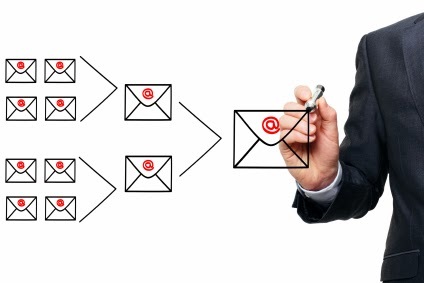 As such, it is vital to make sure that you’re ahead of the curve with your email system. If you find that dealing with them at work has become a source of frustration and anxiety, it’s probably time for a change in your email server. Sifting through emails at work is no fun, particularly if you work in the IT department. The sheer amount of messages is intimidating, too much for a single person to deal with. When someone is faced with the unfathomable extent of communications to get through, mistakes happen: important emails are deleted or lost, putting the entire company into hot water. Email management is too large and important a task to be left to one or two of your employees to take care of if you expect your company to be successful. This is where email management systems, designed and maintained by third party service providers, come into play – and Mimecast can help. These days, the growing trend is to assign these responsibilities to a service that will handle all of them under one integrated system. Contemporary email systems are often stored in the cloud. Cloud services are popular with businesses at the moment, due to the considerable savings made as well as the practical benefits involved. For instance, cloud email security offers accurate virus and spam filters that are constantly updated, link following technology and the ability to allow your employees to have their workload simplified. Unified systems like these are so beneficial to businesses that it’s hard to imagine a world where businesses attempted to run their own email servers! By integrating email security, continuity, archiving and compliance, you’ll soon notice the increase in productivity in your company. An integrated system will allow your employees to continue working in the event of the loss of connectivity with the main exchange server. Since the server is on the cloud, even if there is an outage on premises, the service provider will be able to provide access to email for their employees via the cloud . As such, there is never any ‘down time’. These are simply a few of the benefits involved. For more information, talk to your IT staff about enhancing your server with cloud storage and replacing your email system with an integrated one.